Honestly, who has lived in Durham for any length of time and hasn’t heard of Monuts? It’s a mainstay in this city and an instant favorite among many of its citizens. Serving up some very unique flavors and styles of donuts and some of the best sandwiches that the city has to offer, it’s easy to see why this hotspot in the 9th street area has a line out the door almost every single day. What makes this spot so special to me is how I already see people I know here, the staff is always friendly, and it almost always comes up as a top suggestion whenever I ask people where I should go to eat in Durham. Monuts’ unique and eclectic vibe didn’t just happen overnight. 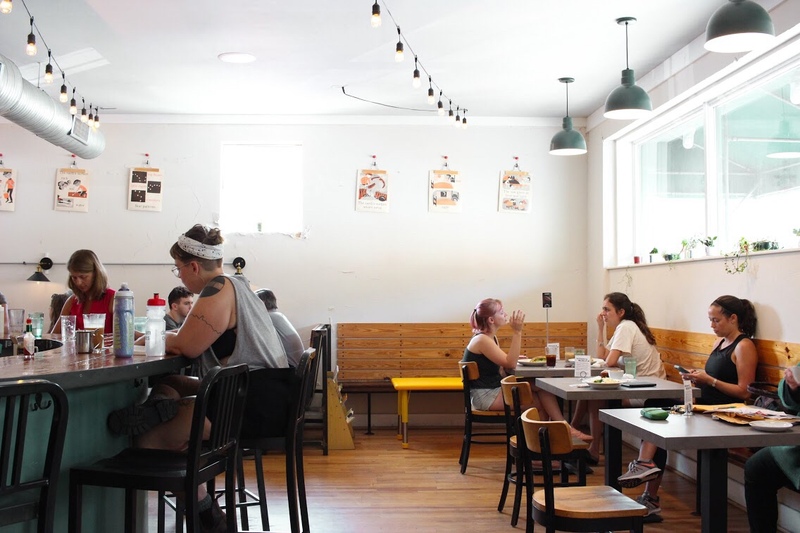 Sure it started from scratch (much like every item on their menu), but it has evolved over the years to become a foundational piece of the Durham culture. While enjoying a variety of dishes from a life-changing goat cheese and egg scramble to a well-rounded roasted turkey and chutney sandwich, I got the chance to speak to one of the owners, Lindsay Moriarty. She told me of her unique journey that led to opening Monuts. After grad school, Lindsay started selling donuts off of a tricycle. She didn’t expect that it would lead her here, but couldn’t be more happy about it. When I asked her why she loves this city so much, she said it was largely because "Durham has everything you need and has a true sense of community." Once establishing Monuts in Durham, she wanted to prove that business can be done differently, with a more sustainable and positive approach, within the food scene. 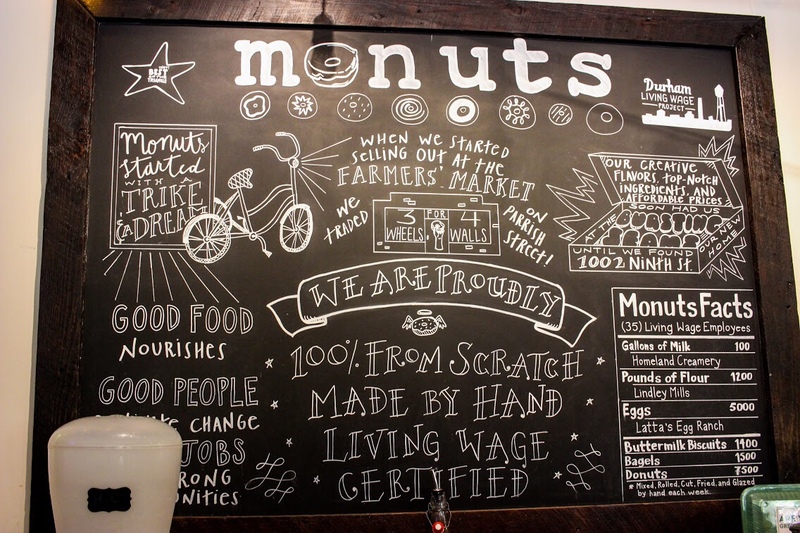 Monuts proves this through their lofty promise of living wages and benefits to its employees, an incredible feat in the restaurant industry. 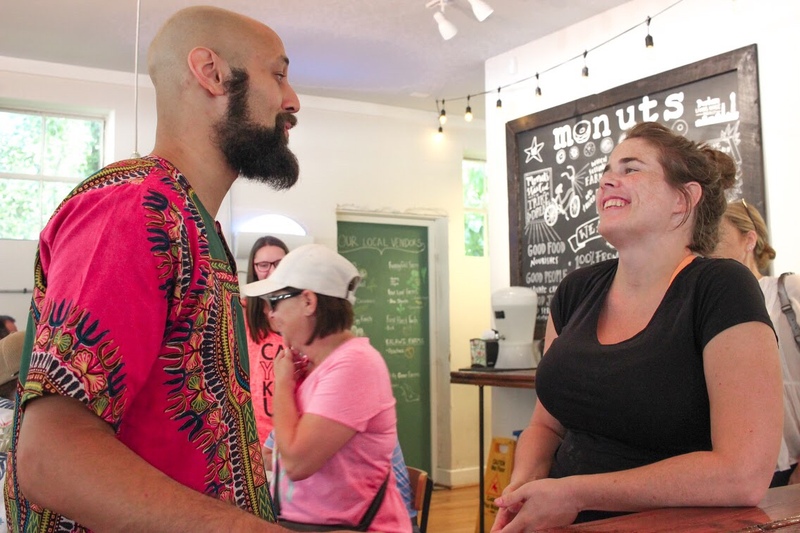 After filling up on the hearty goodness that Monuts has to offer, I took the time to speak to some of my local friends that I ran into (another thing to love about this place) and to enjoy how wholesome this establishment truly is. The food is amazing, but the Monuts ethos and environment makes it feel like everything taste even better than it should. Please, if you haven’t been to Monuts yet (how?? ), go the next chance you get. You won’t be disappointed.